Juicing is a fantastic way to promote proper nutrition and good health. It provides your body with a direct source of nutrients that promote cellular nutrition. Here I share 10 full juice recipes that specially help with losing weight. We provide 1-on-1 support and accountability to help you reach your goals of a more healthier and active lifestyle. Learn how to become healthier through guidance on eating specifically designed for cellular nutrition. Our weight-loss program is located in Kansas City and Overland Park, however we also provide online support to anyone in another city or located internationally. Learn more of how you can get into the best shape of your life by filling out the form on our coaching page. Juicing is a super effective AND efficient way to fuel your body essential nutrients. I think everyone would agree that the quality of your life starts with the quality of foods that sustain it. The most sure path to a healthier, more energetic and disease-free lifestyle begins with a diet rich in natural foods like fruits and vegetables. Those two food groups continue to be THE most important because they are the two most water-rich food groups. From these groups the most powerful way to enjoy their ultimate benefits is through fresh fruit and vegetable juices. They provide the protein, carbohydrates, essential fatty acids, vitamins and minerals that are increasingly vital to your physical well-being. There are literally hundreds of positive advantages from the practice, a few being increased energy levels, strong bones and a glowing skin complexion. Juicing provides nutritional benefits of plant foods in a concentrated form that is easily absorbed by your body, and is the most fun and efficient way to increase your consumption of these life-giving foods. Are there glaring issues in the diet of common Americans AND the whole world that juicing can help reduce OR completely eliminate? The answer is YES. Chronic illness and disease among a large amount of the population is not due to chance, it’s because of a complete lack of understanding or awareness of the real causes of these problems. For so long what we eat as humans and our daily diet has been put into the background as causes of illnesses and death, but now the real truth is starting to be shown. The cause of the prevalence of these life-threatening diseases and illnesses can all be largely track back to deficiencies in nutrients, vitamins and essential food the body uses to maintain health and vitality. Instead of eating foods rich in vital nutrients, most Americans have spent their time focusing on refined foods high in calories, sugar, fat, and cholesterol, stuffing themselves with cheeseburgers, fries and twinkies and washing them down with dark-colored sodas like coca-cola and dr.pepper. These foods are not conducive to health and will ALWAYS lead to malnutrition which in turn provokes the body into providing warning signs (illness). The good news after all of these unfortunate facts is the reality that fresh fruits and vegetable juices can be a great addition into anyone’s diet and begin to provide your body with the good nutrition it needs to promote proper functioning and health. If you are interested in a quick juice cleanse to lose weight I would recommend you re-think your weight-loss strategy. The problem with most people’s view on juicing is that it is some magic potion that after three days will completely get rid of every single physical issue you have. That unfortunately is not the case. You must make juicing a daily habit to really benefit from it. It can be extremely easy to incorporate in your life. It can be a great way to start the morning instead of coffee an early morning juice will get your energy boosted and metabolism working! Once you begin to experience some of the benefits, it will be easy to remember the importance of fresh fruit and vegetable juice in your daily routine. Vegetable juices provide the body with many nutritional benefits. A common issue in the average diet is that most people are overfed but undernourished. A rough estimate is that around 2 of every 3 adults is overweight or about 66% (Source). 66%!?!?! That is an outrageously high number! What is the cause of this? Like we stated earlier in this post, diet continues to be the main cause of statistics like this. Vegetable juices can begin to improve these numbers because they help reset the body’s appetite control by providing the body with high-quality nutrition. 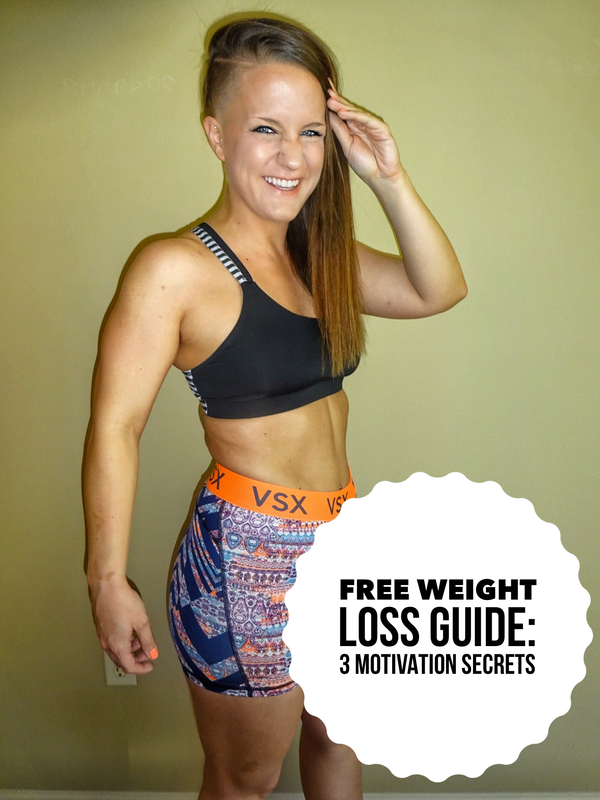 This is crucial at all times but even more so for losing weight. If your body is not being properly fed, it feels that it is starving. The result is your metabolism slows down. This means that less fat will be burned. This is where fresh juices come into play because they are an excellent way to supply your body with key nutrients in a fresh and natural way. A raw-food diet is much more satisfying to the appetite. Cooking can cause the loss of up to 97% of water-soluble vitamins (B and C vitamins) and up to 40% of the fat-soluble vitamins (A,D,E, and K). Since uncooked foods such as vegetable juices contain more vitamins and other nutrients, they are more satisfying to the body. The result is induced calorie intake which promotes weight-loss in overweight or obese individuals. The blood-pressure-lowering effects of raw foods is most likely due to healthier food choices, fiber, and potassium. However, the effect of cooking the food cannot be ruled out. When patients are switched from a raw diet to a cooked diet, there is a rapid increase of blood pressure back to original levels. A diet that contains an average of 60% of calories as raw foods reduces stress immensely. The presence of enzymes in raw foods and the positive effects or raw-foods on the digestive system are believed to be much healthier than cooked foods. How Does Juicing Vegetables and Fruits Help Promote Healthy Weight-Loss? As we stated above, the nutritional and physical benefits of eating a high number of your calories from raw foods is increasingly important. Vegetable juices are a great way to reach that goal. You should always be looking to increase the nutritional quality of your daily diet which is what juicing will provide. Another bonus is that fresh juices help the body’s digestive process and allows for quick absorption of high-quality nutrition. This results in increased energy levels. That is one of the greatest advantages of utilizing fresh juice in your weight-loss plan. Feed your body with increased energy levels which allow you to burn more calories with physical activity. Great source of natural water the most important liquid for your body. All of the juices listed below can be great additions to any weight-loss plan because of all the phyto-nutrients, vitamins and minerals they will provide. However you can and should use these recipes to support any health goals you may have and to provide your body with adequate nutrition. Whatever your health goal, freshly juiced fruit and vegetables juices will help you feel alive and well with energy and vitality! Listed below are a few other resources you can use to promote healthy weight-loss through juicing fresh fruits and vegetables. They provide recipes along with proper knowledge about the benefits of juicing for losing weight and promoting cellular nutrition. Above all realize that juicing fresh fruits and vegetables is an incredible way to take back control of your physical health and provide your body with the vitality and energy you have always wanted. Implementing juicing into any type of diet or nutritional program is an excellent idea and will provide you with literally hundreds of positive benefits, the most important of all being a longer and more well lived life. If losing weight is a major goal of yours, take a long look at juicing and its benefits and I believe you will find that the facts outweight anything out there and the results are real. Happy juicing! If this provided value please share on Facebook or with friends and family interested in the benefits of juicing. suffering happens from leaving this world too soon of loved ones and frightening illness? place where suffering has no friend. annd living healthly in general, are beginning steps to helping many of our culture’s siignificant issues also. We provide Therapeutic Massage At Home, so that’s why I focus on this. the story goes a lot deeper. Next Should You Limit Your Consumption Of Alcohol When Trying To Lose Weight?